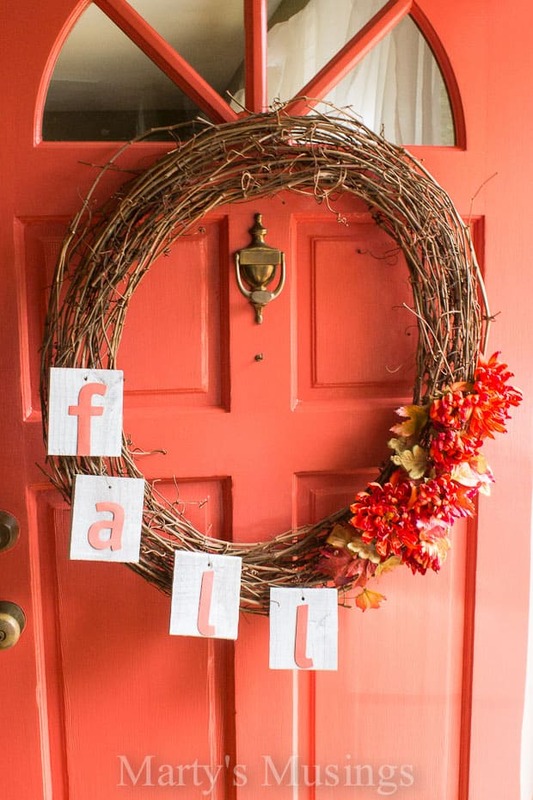 Sometimes I get caught up in the anticipation and fervor of a new decorating season. After all, the craft stores start hauling out their Christmas inventory in July. 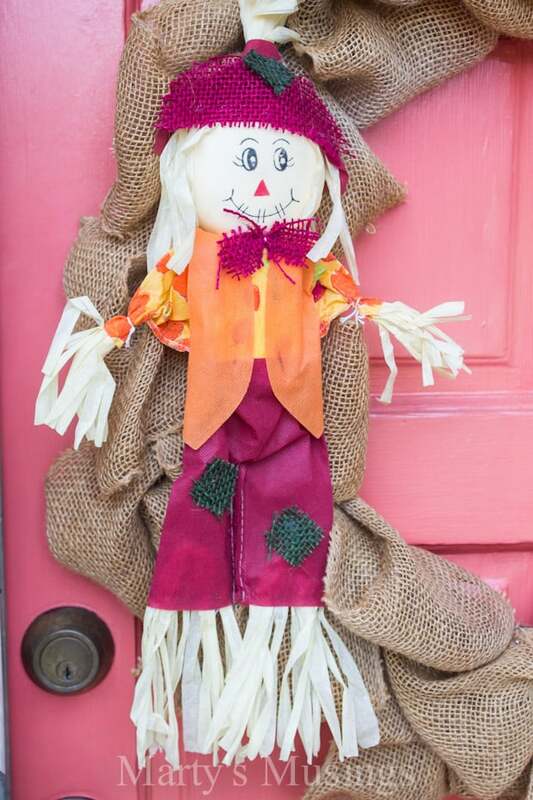 As a blogger, if you’re not on top of those fall crafts by August you will get passed by. Pinterest won’t love you. Your reputation will be shattered. Yet here I sit. Not one.single.new.project for fall. I am an utter failure. Not really. I’ve been too busy decorating a new deck, celebrating our soon to be first grandson, and transforming our master bedroom into a shabby chic paradise on a budget. In other words, life happened. Just like it probably has at your house, too. Today’s project is for everyone who wants easy peasy with very little money and time investment. I’m guessing that might be you! 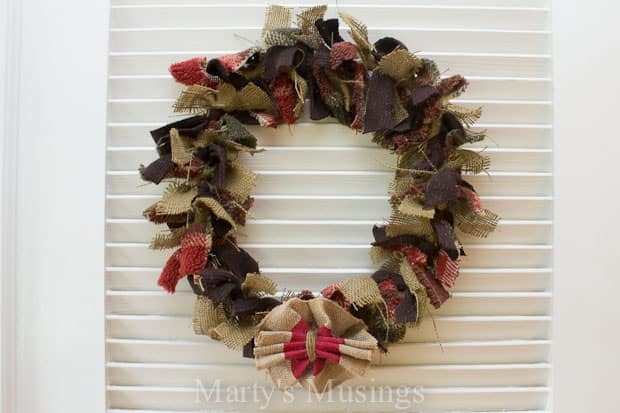 This 5 minute wreath was made with supplies from the dollar store. 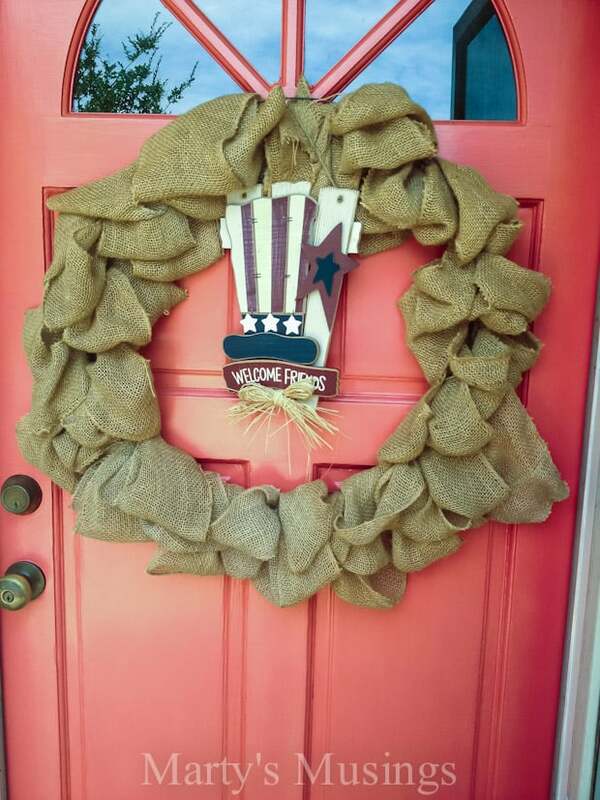 I will tell you honestly I made the burlap wreath last year and it took me way more than five minutes. I read all the tutorials and started weaving my way into burlap heaven. Those trend setting bloggers who hopped on the burlap band wagon way before I did all said it was easy. They lied. 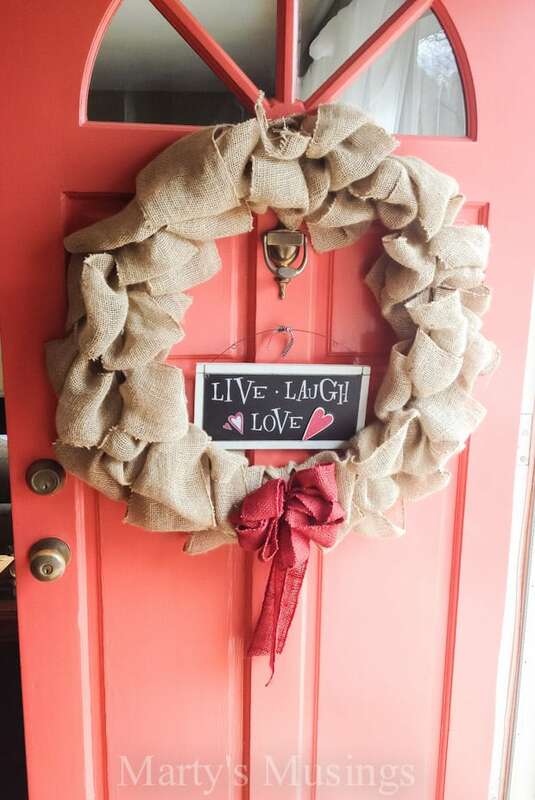 I can’t even remember how long it took me to get that burlap wreath to look like all those pretty blog pictures but it was not five minutes. More like 50. Or 500. The five minute part is where I attached the dollar store embellishments to the wreath. Here it is decorated for last years Christmas tour. 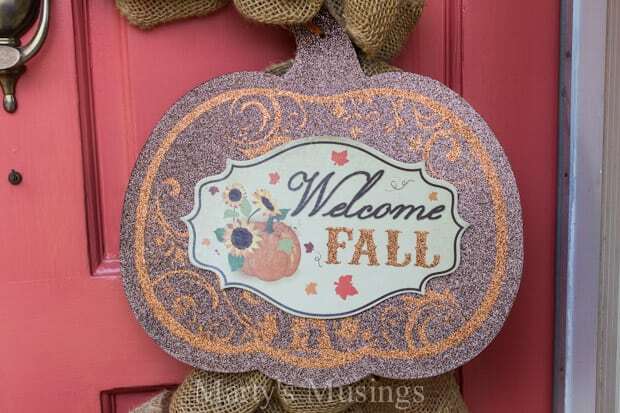 All of the different seasonal pieces were found at yard sales or on sale at the end of the season. A little bit of patriotism goes a long way. 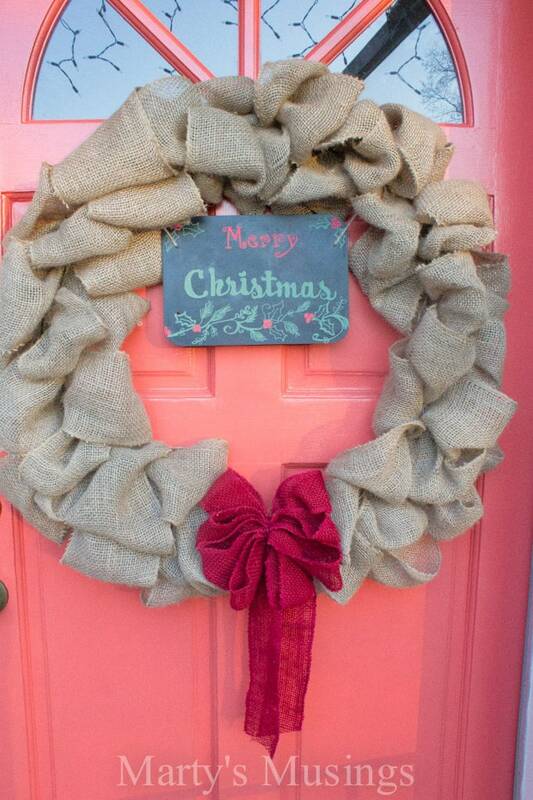 Don’t have time or want to spend the money on a burlap wreath? How about a grapevine wreath? 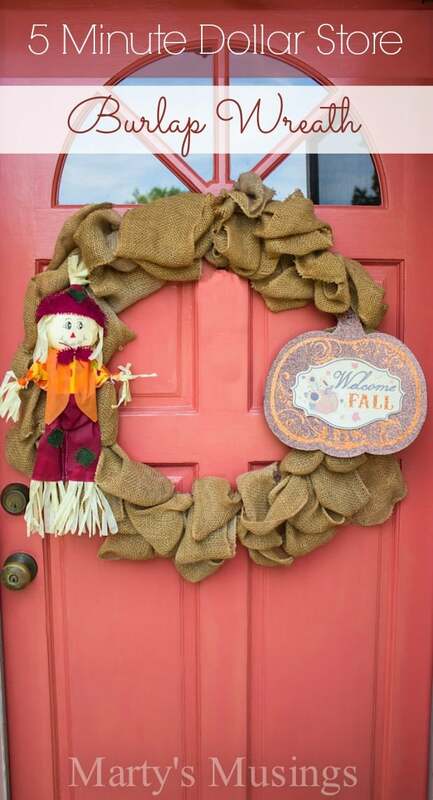 Or maybe even a free fabric rag wreath in beautiful fall colors? Repeat after me. It doesn’t have to be complicated or expensive to be festive. Now. Don’t you feel better? I sure do! I love it Marty. I like the idea that you can change the seasonal attachments and your done. The rag wreath is cute too, but they take time to make. I may try it anyway. Hey, Diana! Thanks for commenting on my simple little wreath! I just love keeping the burlap base and changing it for the seasons. Let me know if you try it! There’s nothing more satisfactory than enjoying your own craft. Not breaking the bank makes it even better! Thanks for joining the Thursday Favorite Things Blog Hop! Thanks for sharing your wreath at the Inspiration Spotlight Party. Pinned & shared. Hope your having a great week Marty. See you again soon. Great job Marty, simple and cute. 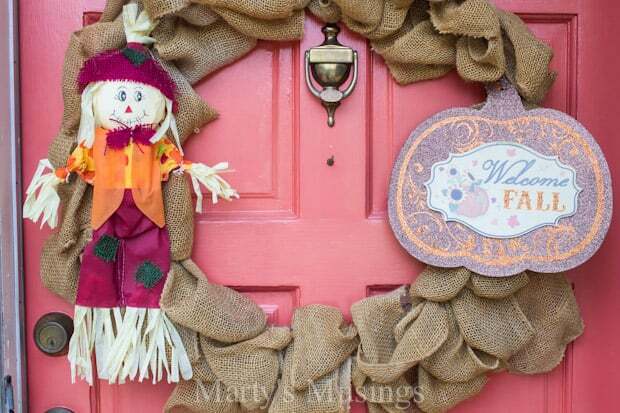 I remember the burlap wreath from last year and adding different items to it makes it work. Thank you, Diana! Good to hear from you!